It’s rare when you handle a knife for the first time and you’re either speechless or all you can utter is, Dang! That’s why Camillus has saved you time and effort and just put the thought into your head; this thing is a Beast! Measuring 9-3/4″ overall with a 3-3/4″ VG-10 blade, this new tactical folder from Camillus is meant for the tough and rugged field of battle. The handle is large of course and the straight lines, reminiscent of a Sebenza, are definitely comfortable in a variety of grips. 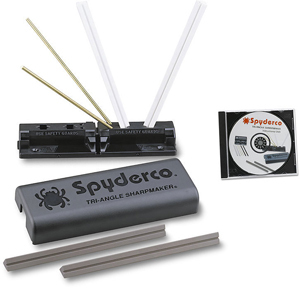 You can use the flipper mechanism or overlarge thumb slot/hole for opening and the action is extremely smooth. 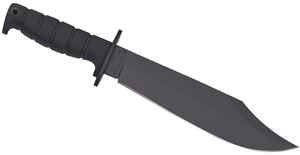 Check out this modified American tanto blade design at www.knifecenter.com. Mantis is in the business of manufacturing odd designs and the MT7.2 Folding Pry Tool is definitely right up their alley. The 3-1/4″ S30V blades are designed with a Besh Wedge style tip for ultimate strength in non-cutting tasks. The milled G10 handle is adequately textured and the shape contours to the curvature of the hand excellently. The glass breaker on the end is well executed as is the strong liner lock mechanism. It’s thick enough to give you great piece of mind while using it while still being quite easy to manipulate. 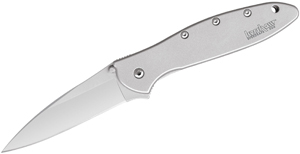 Anyone from a firefighter to a construction worker would be happy using this blade, check it out at www.knifecenter.com.